Fibromyalgia is a widespread chronic pain syndrome that also leads to fatigue, disturbed sleep, memory difficulty and other symptoms. Fibromyalgia is the second most common rheumatological disorder after osteoarthritis. It affects 2-8% of the population worldwide. However, it is more common in women than men. 8 out of 10 fibromyalgia sufferers are female. Fibromyalgia is a long-term condition that is characterized by wide variety of symptoms such as fatigue, stress, depression, headache, irritable bowel syndrome, stiffness in legs, memory loss, disturbed sleep, numbness and tingling sensation in limbs, etc. Fibromyalgia is not a life-threatening disease but it makes life frustrating and depressing. Till date, the actual cause of the disease is not known and thus 100% cure of the disease is also not available. There are some medications and physical therapies that can reduce the symptoms but cannot cure the disease completely. In 2011, American College of Rheumatology modified the number of painful body areas for fibromyalgia. It also suggested that no tender points are required for the diagnosis of the disease. The symptoms such as fatigue, sleep, and other cognitive difficulties should last for more than or at least 3 months. Some patients are reported to be very sensitive to changes in weather conditions, bright light, loud music, noise, temperature fluctuations, etc. Among all these, weather sensitivity is considered as a minor criterion for diagnosis. How Does Weather Flare up the Symptoms of Fibromyalgia? There are various factors that might flare up the symptoms of fibromyalgia. Many patients think that weather plays an important role in fibromyalgia. According to them, change in temperature, pressure and precipitation rate largely affects the symptoms of fibromyalgia. The symptoms that changes with weather conditions are fatigue, stress, muscle pain, headache, sleep patterns, etc. Various researchers have been carried out to know the relationship between fibromyalgia and weather conditions. According to an old study carried out in 1981, many fibromyalgia patients are sensitive to weather conditions. It was also suggested in the study that 90% of the fibromyalgia sufferers were influenced by weather conditions. There are many other diseases that are affected by weather conditions such as rheumatoid arthritis, multiple sclerosis, and osteoarthritis. Another study was conducted in Cordoba, Argentina in 2002, to evaluate the effect of symptoms of fibromyalgia on the changing weather conditions for an entire year. In this study, a positive correlation was found between the weather changes and fibromyalgia symptoms. It was also concluded in this study that pain increases when the temperature falls and atmospheric pressure increases. A study performed in Norway also found a similar correlation between fibromyalgia symptoms and weather conditions. According to this study, the symptoms were worse during December and January and improved during April and May. It was clear from this study that colder temperatures and lower atmospheric pressures were not suitable for fibromyalgia sufferers. In a report published in the journal Arthritis Care and Research, it was mentioned that there is the significant but small effect of weather conditions on the level of pain and fatigue. In this study, the weather parameters taken into consideration were humidity, atmospheric pressure, precipitation, temperature fluctuation and sunshine duration. In some cases, it was reported that there is more evidence against the relationship between weather conditions and fibromyalgia symptoms than in support of these two variables. But, it is evident that uniform weather conditions can influence the symptoms. Are there Weather Factors that Affect Fibromyalgia? Change in temperature or fluctuations in temperature flares up the fibromyalgia pain and other symptoms. The cold weather worsens the fibromyalgia symptoms while the warmer weather eases the symptoms. 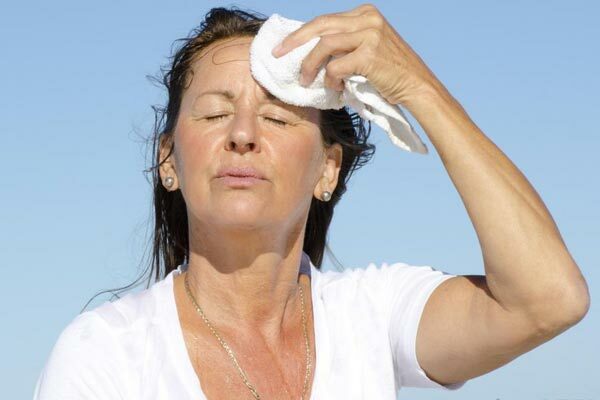 Low humidity has been reported to flare-up widespread muscle pain and even headache. The barometric pressure varies with the weather conditions. On a bright sunny day, the pressure in high while in storms the pressure suddenly drops. Changes in barometric pressure tend to trigger muscular pain. In some studies, it was found that there is a positive relationship between the increase in atmospheric pressure and pain while in other studies no correlation was found between these two. Any kind of precipitation such as rain, sleet, hail or snow may increase the pain and fatigue. Rain can sometimes worsen pain. Wind can flare up symptoms like fatigue, headaches and muscular aches in patients suffering from fibromyalgia. Increased muscular pain is greatly influenced by the above-mentioned weather factors. Various studies relate these weather factors to fibromyalgia symptoms either positively or negatively. In a study, it was found that intensity of pain changes according to the changes in weather conditions. It was also found that people suffering from fibromyalgia for less than 10 years are more sensitive to weather conditions. Many patients can actually predict their pain by seeing the weather conditions for the next day. In another study conducted by the National Fibromyalgia Association, the people with fibromyalgia ranked changes in weather conditions as one of the leading factors influencing pain and stiffness. Few studies show very less evidence to derive a relation between fibromyalgia symptoms and weather fluctuations. How Cold Weather Influences Fibromyalgia Symptoms? Cold weather or low temperature is uncomfortable for almost everyone diagnosed with fibromyalgia. This weather is not for fibromyalgia sufferers. At low temperature, muscles tighten and body shivers for warmth. Which is the Best Weather for Fibromyalgia? The best weather for one sufferer may not be the best for another. People generally learn this by their own experiences about what is better or best for them. In general, a warmer climate is better than chilly cold weather. Dry climate found in Arizona, New Mexico, and California are also known to reduce symptoms of fibromyalgia. The symptoms also remain under control in mild climates where the weather remains almost same all the year-round. Thus, the warm and dry climate is best suited for fibromyalgia sufferers. Calm weather throughout the year prevents a flare-up of the symptoms of fibromyalgia. The weather plays a part when it comes to people who have Fibromyalgia. At times you can hear some with arthritis predicting the weather by their hip or knee, and most times its more accurate than a meteorologist. But the places differ with individuals as their experiences are what determine whether the hot or cold weather is suitable for them. Warm weather is ideal for people with Fibromyalgia than chilly or cold weather. For better management of your chronic pain, try moving to the following places as the weather mostly stays the same all year round. For half the year, the weather is sunny, and temperatures rarely drop lower than freezing, even during the winter. The most to expect is cloud cover and some rain. You can move to cities like Astoria to be closer to the ocean, where temperatures rarely swing, unlike Salem and Portland. For chronic pain sufferers, Hawaii is a paradise and the best place in the US to live. The tropic islands hardly ever experience any shift in the weather, as Hawaii only ever experience summer and winter. The temperature difference is only seven degrees Fahrenheit. Rains in Hawaii are localized, and you can find a warm, pain-free weather a half-hour drive away. With its stable and beautiful weather, Hawaii is the best place for those who suffer from chronic pain. Being a large state, Texas is likely to experience diverse climate. North of Texas in places like Lubbock and Amarillo, the weather is dry and mild while in the southeast, near Houston, it experiences a climate close to sub-tropical. El-Paso and Odessa found in the far-west, experiences bright, hot sunshine since they have a landscape similar to a desert. With its variety of places to choose, you are likely to pick that suits your weather needs. It boasts of mild climate compared to the Midwest. It cannot be as warm as Hawaii, but the winter season in Michigan is short while the summer season is long, and will make you lazy. Plus, you get a bonus of having a world-class pain treatment center that can help you with your chronic pain. People living in Nashville are hardly affected by climate swings, especially chronic pain patients. Nashville is the wettest place compared to most of the US. Since Tennessee is relatively muggy throughout the year, its occupants are used to the weather and pain flares are hardly common when the rain begins. If you want to leave the US and travel far and wide, go as an ex-pat to Singapore. It has well-developed amenities and an exotic culture that will bring you fun and comfort for your pain. The tropical climate is similar to that of Hawaii; two seasons and is there hardly is much difference between Singapore and Hawaii. Living with Fibromyalgia is hard enough when you have to move from one place to another due to work. When retiring, you can settle down at a place that has the best climate that suits your needs as well as benefits that can help you in the long run. Here are some of the best places you can live after retirement and you are suffering from Fibromyalgia. It is not the warmest place to live, but the temperatures are a mild 63 Fahrenheit. It has cool temperatures, and there are chronic pain specialists, and there is physical, psychological and occupational support. Georgia is among the best tax-friendly states in the US. For seniors aged 62 and older are likely to have tax exemptions on their fixed income and retirement income as well. The tropical setting of the Key West combined with recreational, cultural and entertainment opportunities, you are bound to enjoy your retirement here. There are top physicians and chronic pain specialists in the area. If you love the hot weather and loathe the cold, it is an ideal place that won’t aggravate your symptoms. During the winter, temperatures are rarely below 60 degrees, and the summers have temperatures on average at 80 degrees. The steady climate makes this an ideal place for retirees. A bonus, you have the breeze of the ocean to cool you off and the long beach on which you can go and stroll to enjoy the setting of the sun and relax. In the News & World Report’s 100 Best Places to Live in 2017, Austin ranked as the best place to live in the US. Therefore, it is the perfect place for Fibromyalgia sufferers. Austin has mild weather conditions, it can get hot, but the temperatures are usually at 70 degrees Fahrenheit annually. Austin boasts of great healthcare opportunities and will help you create an excellent quality of life once you move there. For cooler temperatures, if the hot climate isn’t your style, you can move to Asheville. The annual temperature experienced here is 56 degrees Fahrenheit. For people with Fibromyalgia, the milder temperatures help immensely to help reduce the pain. There is state tax and no sales tax, and you can move to Central Oregon, places like Redmond. The mountains, the Pacific Ocean being a drive away, can help you create great memories when you enjoy your retirement. Fibromyalgia does not get worse when you move to Florida, but it depends on where you move to. There are areas in Florida where the weather will make your pain levels increase, early in the morning, in the night or during the seasons. Key West, is an ideal place to live as the climate hardly changes year-round. But what to keep in mind is the changes in Biometric Pressure especially during the summer in some locales in Florida. The weather might be rainy though-out summer, and this is likely to increase your Fibromyalgia discomfort and pain. Florida does have some ideal places to live, but most places are just going to make it unbearable for you to live there. Look up some factors that affect your pain levels and decide what’s best for you. Is Arizona A Good Place to Live if You have Fibromyalgia? Not really, as it depends on an individual’s pain levels and how severe their Fibromyalgia is. For most sufferers of Fibromyalgia who live in Arizona, during the summer, the heat is too much for them to bear and spend most of their time indoors, cranking up the AC and having ice-packs on their backs or necks. Heat is good for Fibromyalgia, but not too much heat. The hot and dry climate isn’t great as you will need countermeasures such as the AC, spending time indoors, ice-packs ready and making sure you are not too hot. Some prefer cold weather, for instance, the eastern part of Arizona. Keep in mind it snows heavily and can take up to 2 weeks before it melts. But the winter has mild temperatures, and during the summer expect temperatures to reach 120 degrees Fahrenheit at times. Various states of the US have agreed to regulate the sale and prescription of painkillers to help reduce the number of those addicted to painkillers. For those who suffer from chronic pain, this can be an issue as most patients rely on these drugs to ease their pain. There are 19 states that have restricted painkiller pills prescription. These states will care for you and offer an alternative to opioids that will help deal with your pain. The YouTube video here shows you some techniques that you can use when dealing with Fibromyalgia during the winter. What is the Actual Reason Behind Weather Affecting Fibromyalgia Symptoms? The reason behind the relation between fibromyalgia symptoms and weather conditions is not yet fully understood. 1- Change in Sleep Cycle: Weather can directly affect the sleep cycle. Disturbance in sleep can affect and flare up other related symptoms. 2- Change in Circadian Rhythm: The internal clock of the body is known as circadian rhythm. Circadian rhythm is affected by changes in seasons. More fluctuation in weather leads to more effect on the circadian rhythm that leads to more fatigue and pain. 3- Pro-inflammatory Cytokines: These are responsible for the increase in pain intensity at low temperatures. How Can You Manage Fibromyalgia Symptoms in Weather Change? 1- Dress in Layers: On chilly and cold days, the sufferer should dress in two or three layers. This helps in keeping the body warm. 2- Avoid Cold Temperature: The fibromyalgia sufferer should avoid cold temperature as much as possible. This can be done by keeping the air condition off even in summers. In winters, dressing up in layers, wearing gloves, shoes, scarf, and cap can be helpful when going out. 3- Try to be in Sunlight: Sunlight can cure many diseases and keeps germs out. The sufferer should try to be in as much sunlight as he can if he/she is comfortable to bear that bright light. Fibromyalgia is a disorder of musculoskeletal system accompanied by mood swings, fatigue, sleep disturbances, etc. The symptoms of fibromyalgia make the disease frustrating and depressing. People with the disease prefer to live in their houses to avoid any weather fluctuations that might flare up the symptoms. There are people with fibromyalgia who want to visit places that can provide some relief from the pain. According to some researchers, there are some best places in the United States that can be ideal for the living of fibromyalgia sufferers. Places with low humidity and warm temperature conditions are suitable for people suffering from chronic pain. Places with heavy rain, high humidity, and low temperature may worsen the pain. It is very hard to know what causes the symptoms of fibromyalgia to flare-up. Keeping a close watch on the surroundings and noting down daily observations can help in the trigger points of the disease. Some studies show a strong relation between fibromyalgia symptoms and changes in weather changes while other show no strong relationship between the two. Some people choose to live nearby to schools and shopping centers to prevent staying out for a longer time. Others try to shift to a new place considering the weather condition of that place. Cold temperature, storms, and heavy precipitation make the pain chronic in fibromyalgia sufferers. Thus, avoiding extreme weather conditions and keeping safe and cozy inside the house can prevent flare-ups of the disease.